Hello and good day readers, as we hop in the wayback machine and examine allies for the oldest codex in the game: the Orks. That's right, the Orks are the only remaining 4th edition codex, and even Sisters of Battle have been updated to 6th before these guys. Regrettably, these guys are all but absent from tournament tables, and have been for some time. So, let's see if making some new friends can put some pep back in their step and bring the greenskins forward into the top 6th edition tables. So, the obvious first problem for Orks is that they capitalize on almost none of the best parts of 6th edition. Their troops are numerous and cheap, and indeed generate buckets of small arms fire (accuracy of such notwithstanding), but otherwise, they lack durable tanks, ranged AT fire, low AP fire, MCs (flying or otherwise), or any battle brother allies for crazy combo shenanigans (never mind the fact that they only have 4 allies of convenience). How's da boyz supposed to push back against a tide of such things? Let's find out. Who else likes to fight a lot and just ruin/destroy things in general? Chaos Space Marines! Turns out that Daemons are a little too evil for the Orks to handle, but these evil 'umies are just destructive enough. Unfortunately, you can't bring along any of the crazy cult troops, but regular CSM squads still offer outs to useful weaponry, like plasma and or melta. Tack on some lascannon toting havocs and you really bolster that Ork firebase. What then to do with our compulsory HQ? Bring a lord and strap him to some bikes, raptors, or warp talons. A well equipped Lord is absolutely a match for a Boss, forcing some diverse threat saturation on your foes. Or there's the Guard. Weird that an organized part of the Imperium would fight alongside the orks, but whatever. Let's take advantage of it by leaving a platoon (packed with a few lascannons or autocannons) to hold our home base, instead of those lazy grots. Then those 'umies can bring along some of their big boom tanks (Leman Russes) to help get da boyz through the enemy lines. Past that, even with the significant nerfs to it, the Vendetta still offers a package the Orks can't ignore. A potent mix of old and new, and worth considering. Here we now find ourselves at the midpoint of the chart in some ways, as we consider allying with Necrons, rather than the other way around as we saw last week. Oddly enough, examining things from the Ork perspective finds an alliance with Necrons to be much more appealing, even if only because of the Gauss rule. In a fashion not dissimilar from what guard offer, a large block of warriors will secure a home base, be tough to remove, and spew enough gauss shots to knock two or more hull points off a knight. If monsters are your problem, deathmarks can help with that too. Oh, and let's not forget bringing along some scarabs. They should hit assault the turn before our boyz, and help draw fire and clear the way for them. So, if you love green, whether flesh or necrodermis, don't be afraid to look to the Necrons. 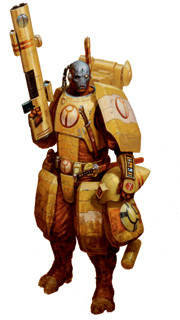 And then there was Tau, here to continue the trend of ever increasing amounts of dakka. As ever, there's the option to bring that dataslate, but assuming you wanted to consider spending an actual allies slot on these guys, what kind of return could you expect? Well, you can totally violate the fluff and bring Farsight Enclave and thus suit troops. These can bring various forms of potent firepower: plasma, melta, or missiles. Any or all of which are valuable to our greenskin primary. Otherwise, some fire warriors, led by a cadre, can always hold our home base. As always, either of these options still affords us the out to the riptide or broadsides. If our Orks aren't meching up, the Tau jibe well with the "all toughness" philosophy. Not all hope is lost for da boyz. Allies help not only shore up weaknesses of the game's oldest codex, but to really accentuate the strengths as well. Proper application of quick strikes and threat saturation easily help show that Orks can absolutely compete. They're tricky, and do require some confusing allies, but at the very least, they're no worse off than Tyranids, and given the age of the book, that's saying something. 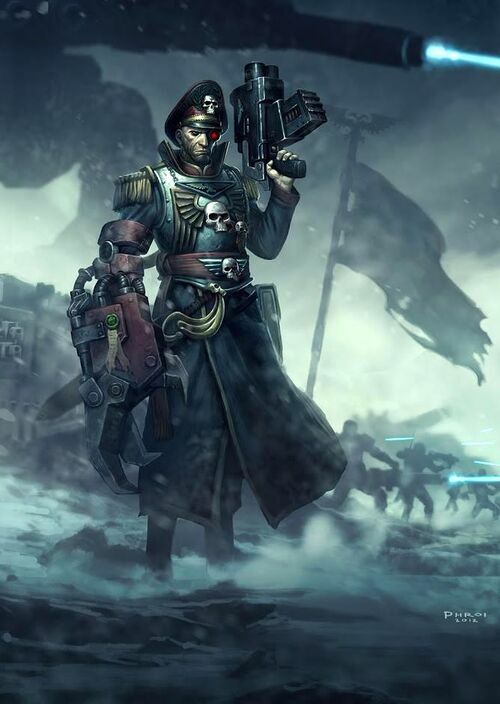 Join us next time as we'll examine one of the most overlooked codices in 40k, the Sisters of Battle. I don't think orks are as bad that they need allies. I've played my orks for over a year now and have won countless games. If I'm not mistaking my ork army has beat your necrons in a tournament. The FAQ really helped. We need some point adjustments and the orks would be kicking. I am in total agreement. Given what I see when I look at the Orks codex, it looks very much like an in-house book. Granted it was written long before Allies was a thing, but just by it's nature it really has a lot going for it if you play it solo. 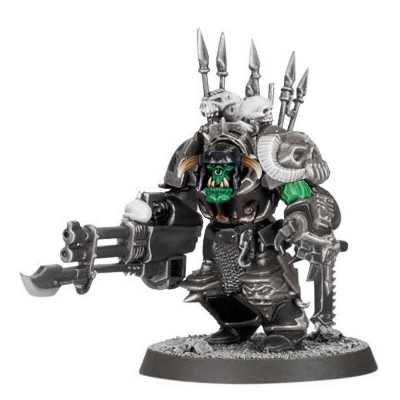 For the most part, your troops are pretty cheap, and you can get some pretty decent firepower from their alternative options, like the deff coptas, or event just ramming dem gitz wiff a Deff Rolla. I'll agree, Orks can work very well... For the right price. 100+ boyz gets expensive fast. It might struggle to cope with Imperial Knights, but that many boys even has real potential to clog the Tau, which in and of its self is a testament to an assault horde book being viable. I use about 80-100 boyz. It doesn't leave a lot of room for other units but dealing with troop units that are 20+ models can be difficult. Plus if you get some good rolls in, boyz on foot can sink the flying daemons. Some point adjustments are really needed. Some units are so over price that you can't run them. For example flash gitz are great for dealing for units with a 2+. But at 25+ points per guy, makes it hard to run effective squads. Absolutely, but every codex, even current ones, could use some points adjustments. Glad to hear that you're finding your pursuits successful on the whole though! Thanks. I plan on taking orks to some events coming up. So should be fun.